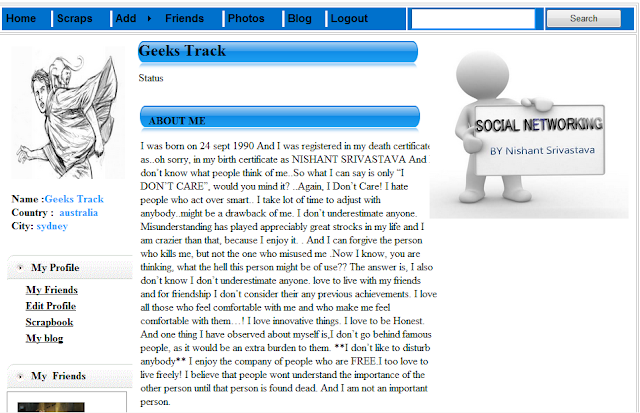 We are sharing free IGNOU MCA Project with Source Code and Project reports. 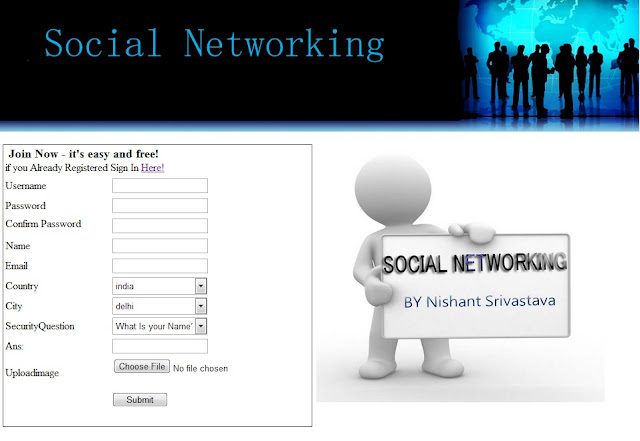 You can download the complete Project on Social Networking Developed in Asp.net. You can download this free IGNOU MCA Project and you can ask any query regarding this Project. This Project is Developed in ASP.net so you can use this free project for BCA also. If you are Looking for Free BCA IGNOU Final Year Project then you can use this Project also. You can change synopsis Report as per your need. Social networking is the grouping of individuals into specific groups, like small rural communities or a neighborhood subdivision, Although social networking is possible in person, especially in the workplace, universities, and high schools, it is most popular online. This is because unlike most high schools, colleges, or workplaces, the internet is filled with millions of individuals who are looking to meet other people, to gather and share first-hand information and experiences Social networking websites function like an online community of internet users. Depending on the website in question, many of these online community members share common interests in hobbies, religion, or politics. 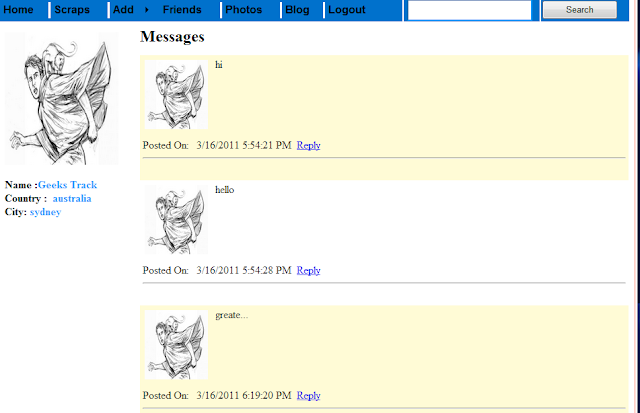 This socialization may include reading the profile pages of other members and possibly even contacting them. The friends that you can make are just one of the many benefits to social networking online. you could develop an online friendship with someone .Not only will you make new friends, but you just might learn a thing or two about new cultures or new languages and learning is always a good thing. If a friend of business group is want to send a message to you. He can set options that will see his message. Only his business group or all friends. These security features helps user to make better communication with others. Unknown persons can’t read your messages. This project is designed all that person who interact with each other through net. If we want to send message in whole business group ,this project help us. There is security features at communication time. In this, all friends are divide into categories like business, school, other friends and family. In this software, we can send message according to priority. We can make friends on line by help of this project according to his interest. 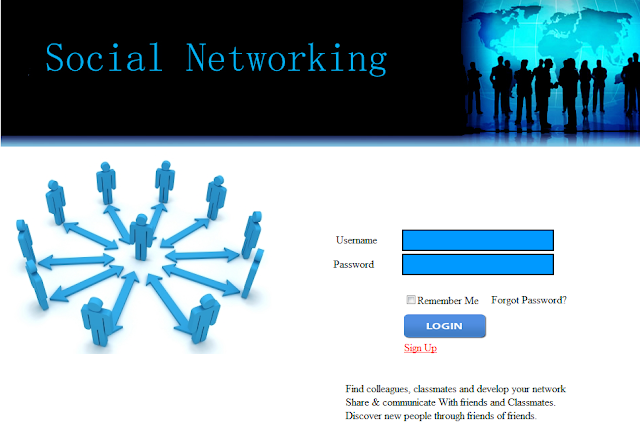 A social Networking site in Asp.net with basic working..